Let me start by admitting one thing – I really don’t know how to earn money online. I did browse Irfan Khairi’s and Tze-something books in bookstores few times before but their ideas and messages never registered in my head. I know I have to start doing it. Like board games and programming, I can only learn by actually playing and cracking head over it, rather than by reading. I’ll document everything that I do in this blog, and if you have advices, do pour them on me. My main interest however is in learning and gaining greater understanding of Internet and web technologies. Then only will I start thinking about huge money-making. I believe I’ll be quite slow in my learning due to my other commitments and interests. 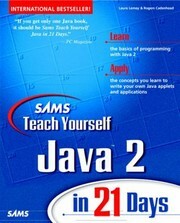 I might fail in earning any money, but I dont think I will fail in being more proficient with web technologies. Ok .. enough talking. Let’s for once get really started. I’ll open my Notepad, and write down (type) the ISBN of all books that I have. One line each. 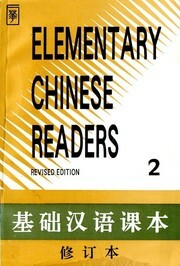 Some books have both ISBN 10 and ISBN 13, latter is assigned to books published after 1 January 2007. Choose to record ISBN 13 whenever possible, ISBN 10 is subset of ISBN 13 afterall. There is no need for recording title, publisher etc as these information can be extracted from online database somewhere, hopefully. p/s: Ah, my idea revolves around Amazon affiliate programme, book reviews, ebooks, AdSense etc. I dont know yet. 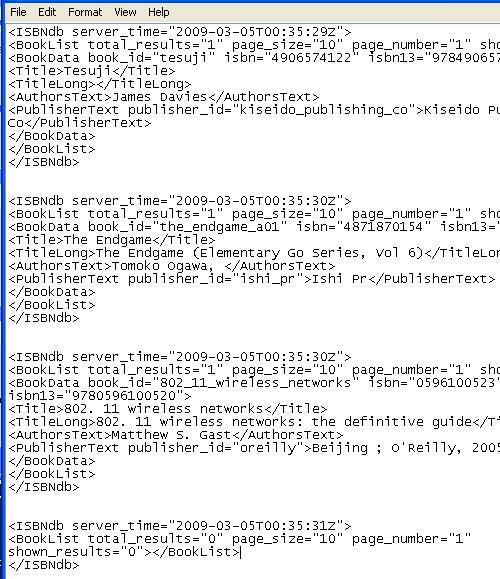 Ok, so now I have listed the ISBN of most of my books in a Notepad TXT file. General idea was to extract information i.e. 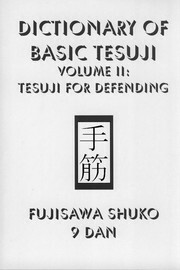 Title, Publisher etc from the Internet with just the ISBN number as reference. I have actually found a free online database to be the source, it’s ISBNDB. First of all, let me show you the list of my ISBNs. I originally included dashes ( i.e. 4-87187-015-4 ) but found out it was not necessary, so I used Replace All feature to remove them. To use the ISBNDB API (application programming interface), you will need to have Access Key, which will only be given to registered user. Registration is very easy as minimal information and no confirmation is required. Please visit the website and click on Account tab to start creating one. Ok, now we have come to a slightly more difficult but interesting part. Programming 🙂 Basically the idea is to read each ISBN from the Notepad, send request to ISBNDB and save the response. 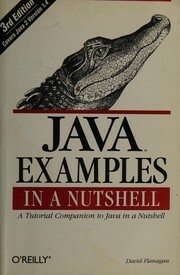 I choose to use Perl programming language for this. 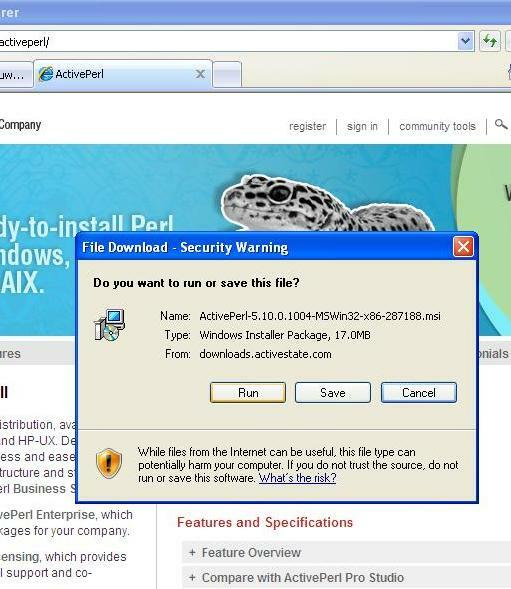 If you don’t have the Perl interpreter install, get one from ActiveState. Create a new Perl file (extension .pl) in the same directory as the list of ISBNs. 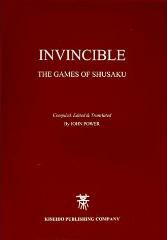 Now I have directory ‘c:\idazuwaika’ with ‘isbn.pl’ and ‘MyISBN.txt’ in it. 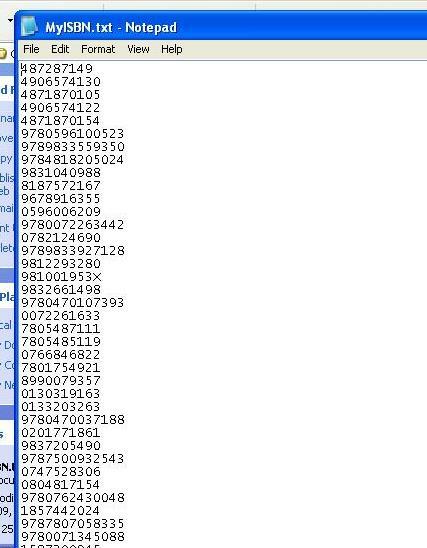 Write the following codes in ‘isbn.pl’. 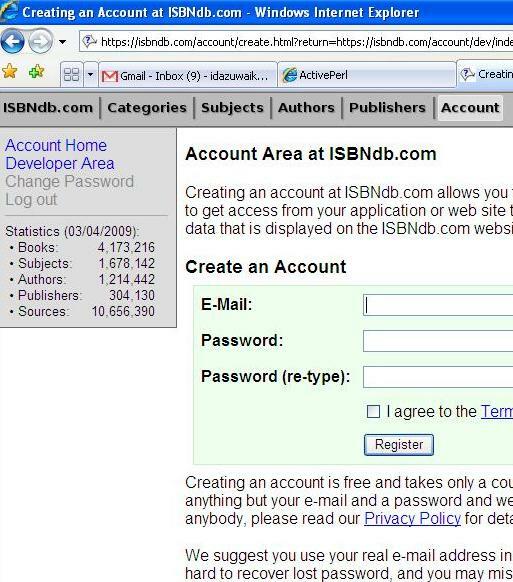 However, replace the redded part with your own Access Key from ISBNDB, obtained upon registration. 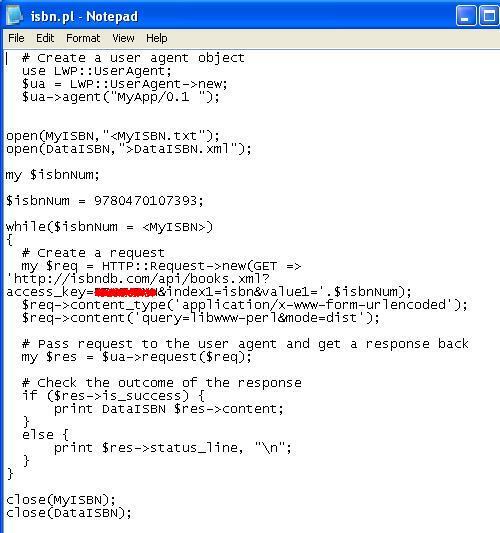 What the code does is preparing output file ‘DataISBN.xml’ (an XML file) to save responses from ISBNDB, and preparing file ‘MyISBN.txt’ to be read. 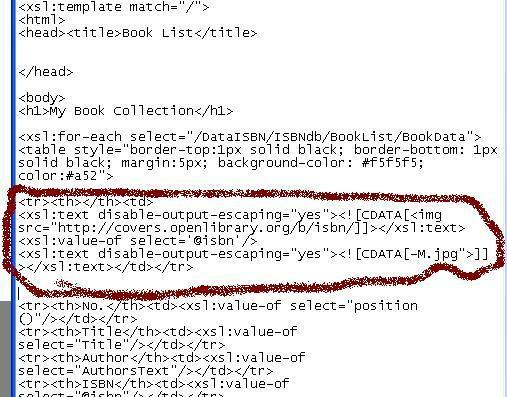 ‘MyISBN.txt’ is then read, for each ISBN, a query is sent to ISBNDB and the response is written to ‘DataISBN.xml’. from the file. Again, Replace All feature can be used. However one and only one of above statement must remain, and must be put at the top of the file. Also add <DataISBN> after that and </DataISBN> at the end. Please note that not all queries will be answered with above information. See the last entry in above image for example, the database can’t find the result. Probably because this database is incomplete. I do have a lot of Go books in Korean, Japanese and Chinese afterall, and it’s quite likely that these are not registered by ISBNDB. 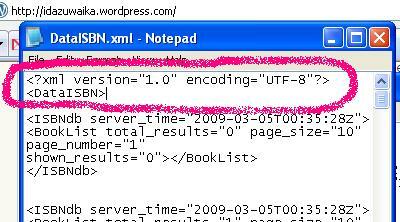 From previous, I have already had information of my books stored in structured XML file called “DataISBN.xml” in directory “c:/idazuwaika”. 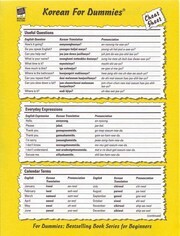 To present this data in HTML, I chose to use the free Saxon XSLT processor. Download here. 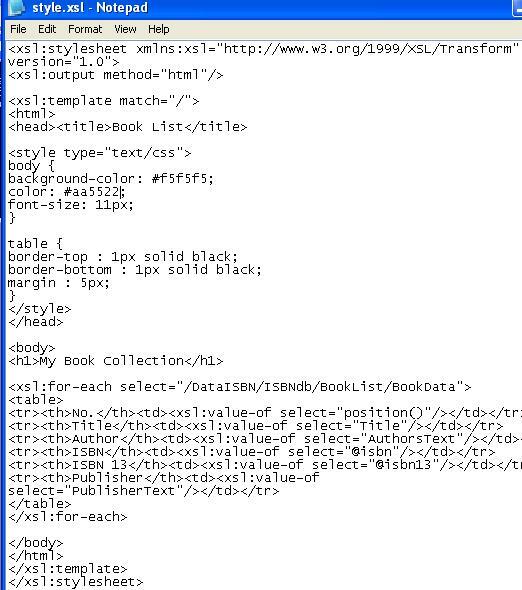 What this does is giving instruction to Saxon XSLT processor on how to style the raw XML data into a HTML output. Well, the HTML output is ready. I copy paste here. Add the following code to ‘style.xsl’ add the image links to the output HTML. Sebastopol, CA : O’Reilly, c2004. Indianapolis, IN : Wiley Pub., 2007. [Las Vegas, NV] : Onword Press, c2002. Upper Saddle River, London : Prentice Hall, c2001. Indianapolis, Ind. : Cisco, . New York : Anchor Books, 2000, c1999. Alameda, CA : Sybex Inc., 2000. San Francisco, CA : Sybex, 2001. Berkeley, Calif. : Osborne/McGraw Hill, c1998. Indianapolis, Ind. 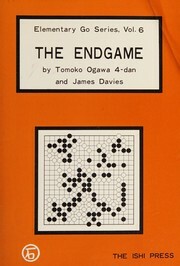 : Sams Publishing, c1999. Foster City, Calif. : IDG, 2000.
just found another database that could give cover image as well, would be nicer. you do have a lot of books…. better buy books since you get a tax break! haha… dont ask me how many i have read though.